I love the freshness of dill. It's really growing like weed in our herb garden right now. I love it! Besides my planted herbs, there are a lot of other things also residing in the garden that I try to pull out regularly. At our 4th of July party, my friend Ava , author of this beautifully written book, Eating wildly came. She looked at our garden and pointed out a few of edible weeds. I tried one of them right there and I loved the texture. I don't know what I will come up with but I would definitely like to cook something with them next time. Anyway, I got a bunch of dill from the garden and started working on this appetizer. Within 10 minutes, I was done! Love it. Such cute little bites with a bit of sophistication. 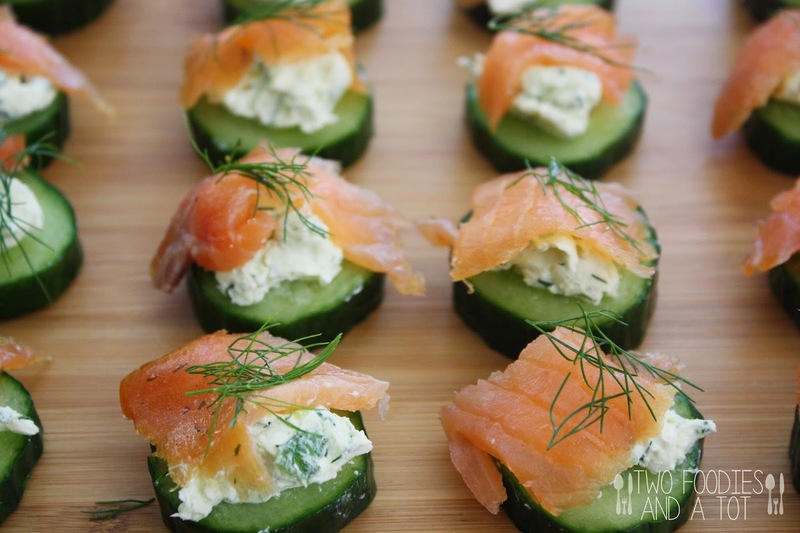 Quick to make appetizers are the best, especially for a large party. I doubled the cream cheese recipe and used half for the appetizer and half for bagel the next day. Oh yum! 1. In a stand mixer add cream cheese, scallion and dill and beat until light and fluffy. 2. 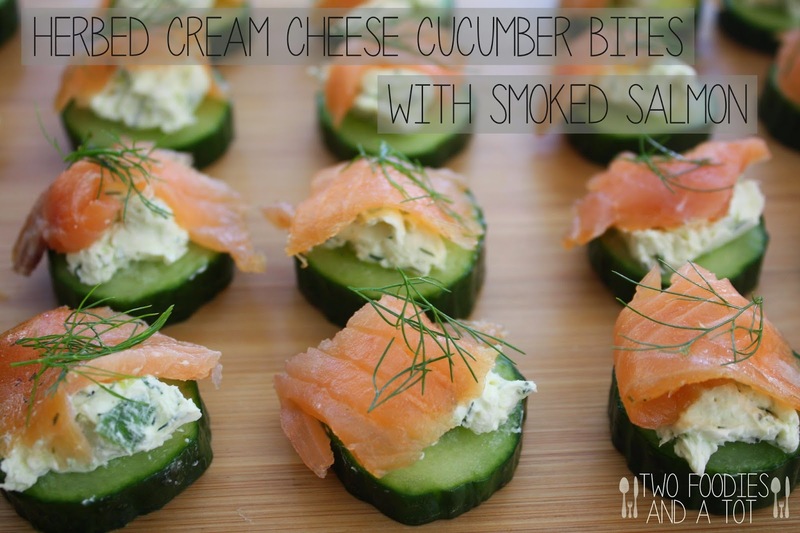 Put a dollop of cream cheese on each arranged cucumber and top with a piece of smoked salmon and garnish with dill. Chill until serve. I didn't need to put toothpick or anything and they were very stable without it.